The grand site of Cirque de Navacelles is made up of three southern Causses (Campestre, Blandas, and the southern Larzac), and borders on the Cévennes. 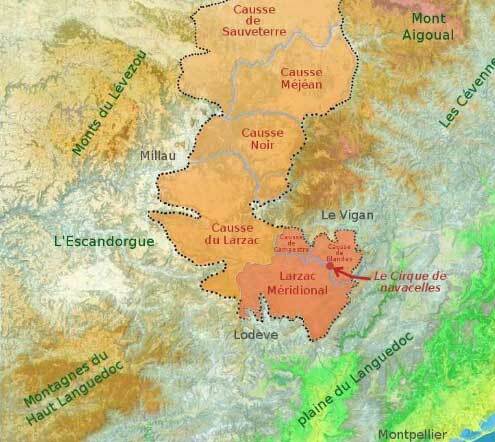 Two rivers cross it : the Vis and the Virenque, dry in some parts of their course. These particularities and the geographical position of the southern, continental, oceanic and mountainous influences give the « Grand Site » of the Cirque de Navacelles unique and exceptional bioclimatic conditions. 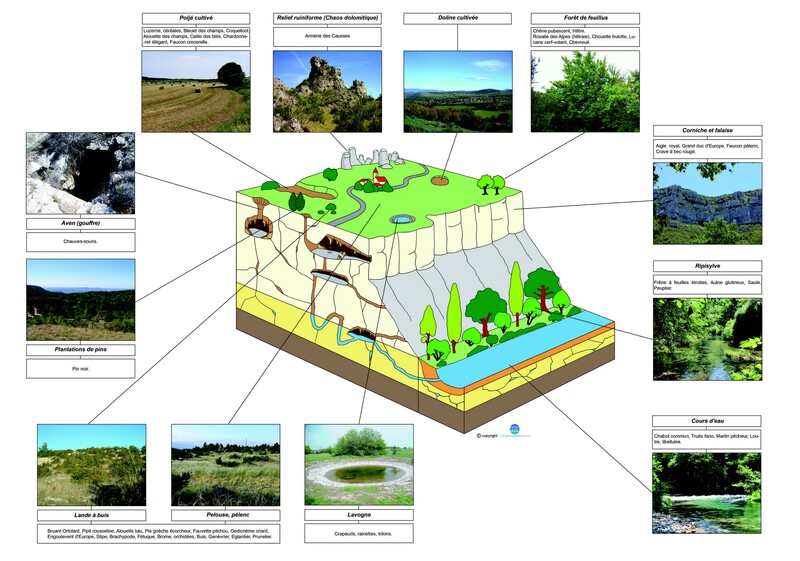 The altitude, the climate, the character of the rocks and human activities (essentially agropastoralism) have shaped a mosaic of environments favourable to an excepional biodiversity.